Lowriders are part of a custom car culture that has seemingly gone by the wayside in terms of Hot Wheels today. But that wasn’t always the case. Back in the late ’90s and early ’00s, Hot Wheels lowriders were thriving with several castings being released in that time frame. 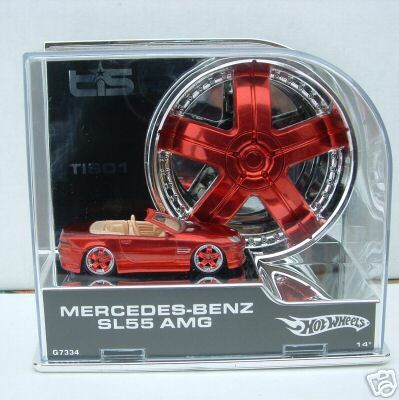 This includes the Hot Wheels #Montezooma which was first released as part of the 2001 First Editions. For the next 5 years, the #Montezooma was released steadily, with at least 1 release in each year. It even appeared in a lowrider specific segment in 2006. After that, the Montezooma received a re-tooled base that made it into a “Hi-Raker” or “Donk” versus the lowrider base it previously had. 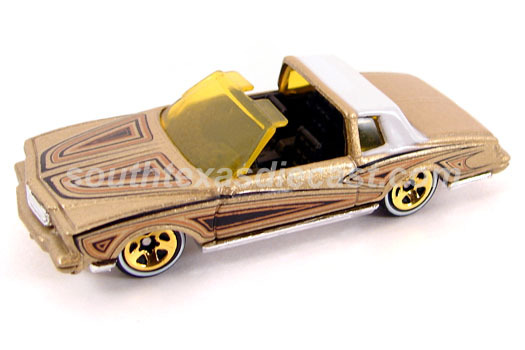 This “donk” version of the Montezooma had two releases (late 2006 & 2007) before it returned to its lowrider form in 2011 for two releases in that year (Racing Kits & Hot Ones lines). Since then, the Montezooma has not reappeared, prompting us to tag it with the Hot Wheels #Discontinued Castings tag. In 2004, car culture was obsessed with rims or “dubs”. Also referred to as “shoes”, any pairing of 4 rims were thought to make or break a car. While this logic still holds true today — especially among Hot Wheels collectors who have formed allegiances in the Real Riders & Redlines camps — this was only the beginning of Hot Wheels with custom rims. While the Hot Wheels Whips line retailed for around $4 in the United States, several other more expensive lines followed causing collectors to shy away from these pricey “shoes”. Though the Hot Wheels Whips were escalated to a higher price level and contained many repeat castings throughout its run, it produced some nice pieces. The unlicensed #Montezooma casting (licensed for this line as a “Chevy Monte Carlo”) had never seen such a nice treatment and this line truly brought out the best in this #Dave Weise Design. From the contrast of the gloss black exterior and matte white interior, to the black painted seat inserts, to the custom Team Baurtwell 5-spoke (TB5) wheels, this Montezooma is the epitome of what lowrider culture is all about; cruising while looking good! RELEASE DETAILS: Gloss Black Body (metal). Tinted Windows. White Interior w/ painted Black seat inserts. Chrome Team Baurtwell 5-Spoke (TB5) Wheels. Chrome Base (plastic). Made in China. Toy# C2659. Released in 2004 as part of the Hot Wheels Whips line in the Team Baurtwell / Old School Series.